Maybe you’re not really a “baker”. Too many outside factors can ruin all your hard work, and standing on your feet for hours on end. I get it, I live in Colorado where the altitude is high, and if the barometric pressure is off, wind is blowing at 45 mph from the north, or the thermostat in my house is not at 68.7 degrees an entire batch of cookies can turn to a heap of cookie mess. Though tasty, not a pretty site when trying to deliver them a neighbor. 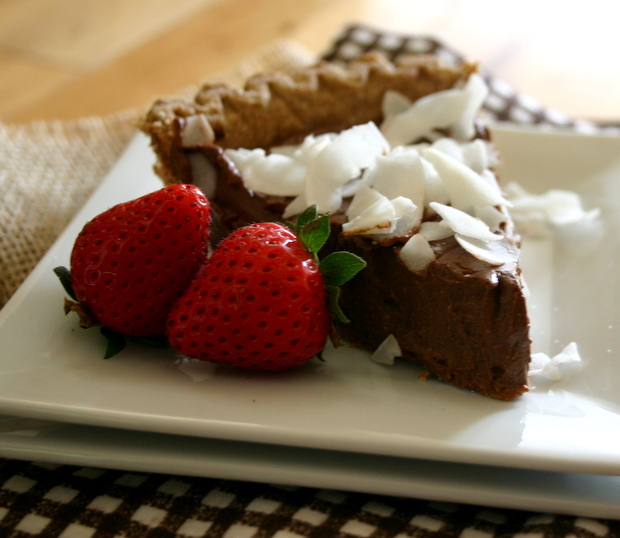 This recipe for Vegan No-Bake Fudge Pie, from Everyday Maven, has you no-baking up a storm in your kitchen. Plus if you have dietary restrictions, or just watching the waistline, you’ll feel fantastic devouring a slice of this fudgey masterpiece. Plus, it only takes about 5 minutes to throw everything together, yet taste like you spent hours no-baking. 1. Prepare crust according to directions and allow to cool. 2. Combine tofu, cocoa powder, vanilla, almond milk, salt and maple syrup in the bowl of a food processor. 3. 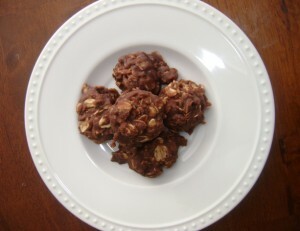 Melt chocolate chips in microwave or in a double boiler on stovetop and immediately add to food processor. Process all ingredients until completely smooth. 4. Pour into pie crust using a spatula to smooth top of filling. 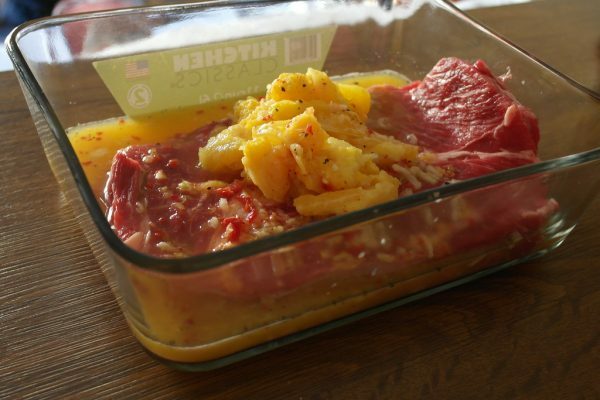 Place into refrigerator until chilled (at least 1 to 2 hours). Top with shaved coconut or fresh berries, serve and Enjoy!